Tina Hughes is the mother of Olivia Bazlinton who was killed on a station level crossing with her friend on 3 December 2005. Olivia was just 14 years old and her friend Charlotte Thompson, 13 years old, when they set off to Elsenham station to catch a train to Cambridge to do some Christmas shopping. Network Rail’s immediate and repeated statement was that Elsenham was a very safe crossing if used correctly. 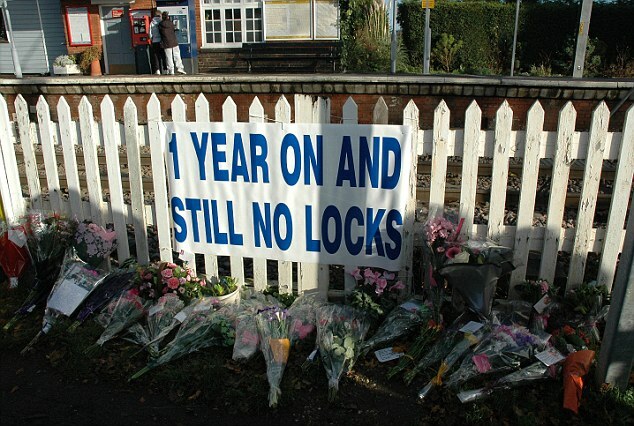 However, accident investigations uncovered evidence that the crossing was not as safe as suggested and the families campaigned for the gates at Elsenham to be locked when trains were coming so that no one else would be able to make the same fatal error of judgement. 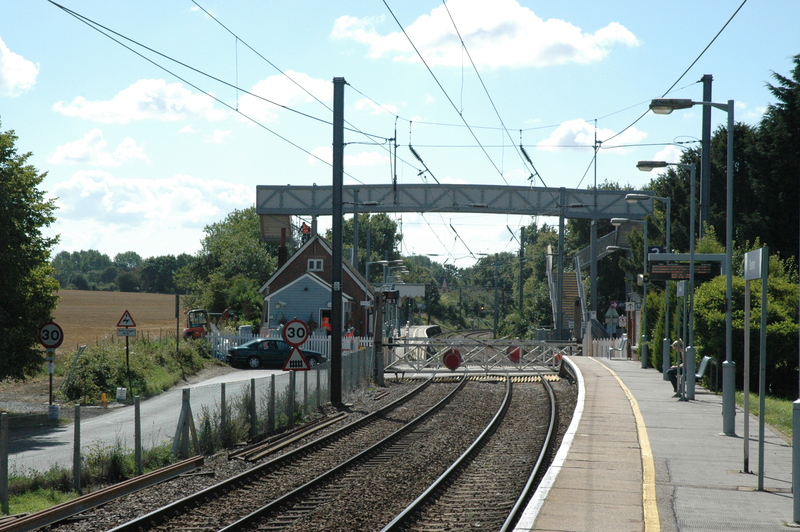 Despite a Health and Safety Laboratory report prepared in time for the Inquest, which suggested significant flaws in Network Rail’s risk management at level crossings and particularly at Elsenham station, their legal team closed down discussion about the risk at Elsenham and the verdict returned was accidental death. Network Rail agreed to meet the recommendations made by the Rail Accident Investigation Branch and in August 2007 a foootbridge was constructed and magnetic looks linked to the signals were introduced making Elsenham one of the safest level crossings on the network. Network Rail insisted that this had been undertaken because of the increase of train traffic at Elsenham – not because the crossing was dangerous. This is the perfect web site for anybody who would like to find out about this topic. You understand so much its almost hard to argue with you (not that I actually will need to…HaHa). You definitely put a brand new spin on a topic that has been discussed for many years. Excellent stuff, just great! My family and I have just been on holiday at Presthaven Sands, Prestatyn, North Wales and very close to the camp site is a level crossing. There is no access for cars but we were so shocked to find that pedestrians were able to walk through at any time. We were very wary to cross and so we took our time and looked and listened before crossing. We heard nothing and so crossed. Within seconds a high-speed train appeared and we feel we barely made it across safely. We really feel something should be done at this crossing. Thank you for telling me about this crossing. I am not familiar with the area so have asked the local level crossing manager to identify which crossing it is and look at what can be done to reduce the risk. It certainly sounds like a crossing that needs some active warnings as high speed trains passing near a camp site where visitors to the area (and possibly children) may not be aware of the risk is a combination that needs attention. I am very pleased to hear that you approached with extreme caution and crossed safely – but not everyone will necessarily take so much care or even be aware that they need to do so. I don’t know whether you heard about the incident last Wednesday at Elsenham (11th May 2016) where 5 children got trapped between 2 locked gates on the line. 2 climbed over the gates but the girls had to walk on the line and climb on the platform to escape before the express train went through. The station man didn’t even bother leaving his box, just banged on his window. The press have reported it incorrectly. I’m not quite sure how this happened technically with the gates. Could I possibly speak to you about it, as my 14 year old daughter was one of those involved. I was born in 1993 and ever since I can remember the level crossing where I live has automatic barriers. It is really time to get rid of manually-operating level crossings in the UK, just like the dangerous “slam-door” trains were phased out ten years ago due to health and safety issues. The other thing is to make things safer, a 60mph speed limit should be introduced at all level crossings to reduce the risk of injuries/fatalities should the barriers not work. You are right, just like slam door trains were phased out we do need a real step change in the way level crossings are managed. Sadly slowing trains to 60mph would not do much to reduce the risk of injuries/fatalities. Even a light weight car needs to be going less than 30 mph to give a person much chance of survival if hit.